A Special WRAD Gift from Our Friends at Night ZooKeeper! 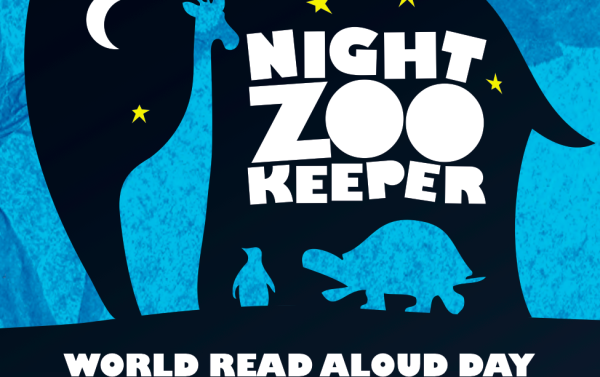 Our friends at the Night Zookeeper have a very special gift for you in time for World Read Aloud Day: a special edition Night Zookeeper e-book especialy made to celebrate WRAD! You can download the E-BOOK HERE. To learn more about Night Zookeeper, read below! The world of the Night Zookeeper inspires young artists and writers from around the world, to create their own magical animals and to write stories about them. animal noises and magical creations, a Night Zoo was born and the gates opened in 2011.
you enjoy reading about these amazing characters as much as we do! The Night Zookeeper will continue to be maintained and managed by the two friends that founded the website, but it can only grow and get better with your support. Download the e-book and visit them here.